Twenty-three years ago, but still 164 years from now, Ellen Ripley died. In Aliens, she rescues a little girl, the last survivor of the overrun terraforming colony on the alien-infested planet LV-426. Then in Alien 3, she crash-lands on the surface of the prison planet Fury 161, unaware that the embryo of a queen alien is growing inside her. The little girl she’d saved, and the soft-spoken jarhead who’d taught her to handle a pulse rifle, were both dead. One head-shaving, a roll in the hay, a lot of running and yelling, and a lot of heartache later, Ripley hurls herself into a pit of flames, lest those vicious capitalists from the Weyland-Yutani Corporation get their hands on the monster about to explode through her abdomen. The End. First-time director David Fincher went on to make Seven, Fight Club, Zodiac, The Social Network and Gone Girl. To this day, he refuses to discuss his reportedly hellish experience on Alien 3. Eighteen years ago, but still 364 years from now, Ellen Ripley came back to life. Well, not Ellen Ripley exactly. But her test-tube doppelgänger—a side effect of an attempt to clone the queen alien Original-Recipe Ripley was carrying when she immolated herself back in the 22nd century. The Ripley in Alien Resurrection has heightened senses and super-strength. She wears leather pants, can swish a basket from mid-court without looking, and is the beneficiary of the series’ first consensual xenomorph-on-human sexual encounter. The End? Director Jean-Pierre Jeunet went on to make Amelie, while screenwriter Joss Whedon slunk back to cult television and was never heard from again. He has periodically aired his grief over Alien Resurrection. Alien 3 has its defenders, particularly since the home-video release of its substantially restored and lengthened “Assembly Cut” in 2003. No one sticks up for Resurrection, the film that forcibly impregnated the Alien-verse with wacky slapstick hijinks and Dominique Pinon. Where could the series possibly go from there? Apparently to Alien Vs. Predator, twice. Weaver’s Ripley is pictured in a helmet that looks very much like the elongated head of the xenomorph created by late Swiss surrealist H.R. Giger. Corporal Hicks—Michael Biehn’s laconic Marine, who gets unceremoniously killed off in Alien 3’s opening credits—is pictured, too, his face disfigured from his close encounter in Aliens. 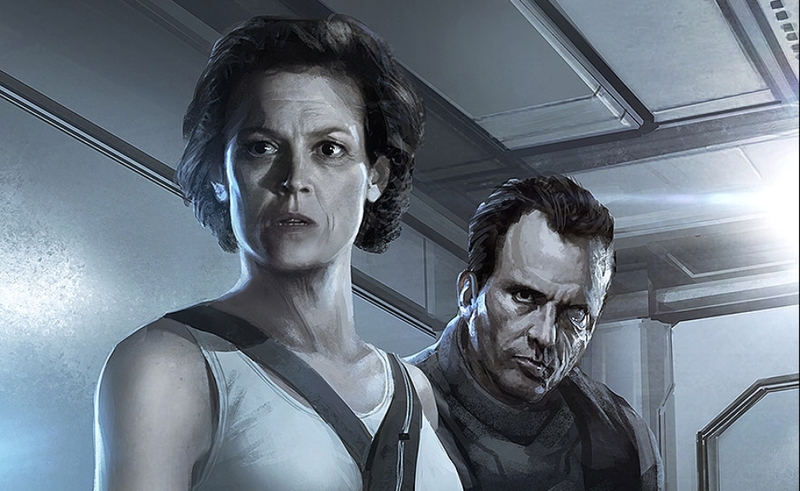 One image shows Hicks and Ripley shoulder-to-shoulder, battle-ready. He’s armed with his archaic 20th-century shotgun, while she’s wearing a suicide vest packed with explosives. Another shows one of the horseshoe-shaped alien spacecraft featured in Alien and its underachieving Ridley Scott-directed prequel, Prometheus. Still another shows a queen alien running wild. They’re fan-fic, these pictures. And as a fan, I feel well-served: If the Alien movies are or ever were important to you, these are the sort of pregnant images that give birth to stories. Presumably ones that aren’t as mellow-harshing an existential bummer as 1992’s Alien 3, the one where Hicks and Newt die at the beginning, and Ripley dies at the end. Blomkamp’s decision to include Weaver and Biehn in the initial art for his title-and-release-date-TBD Alien flick, plus his own comments, seem to indicate the movie will be a mulligan—not a reboot, but a rewind to where Aliens ended. (Ripley, the moppet Newt, the wounded Hicks, and the bisected-but-still-operational android Bishop, all snoozing their way home aboard the Marine troop-transport Sulaco.) Blomkamp has since said, “I’m not trying to undo Alien 3 and Alien Resurrection.” But if Ripley and Hicks are alive in his movie, and it’s set after Aliens, then Ali5n has to be a retcon-job, assuming the later movies weren’t all just a hypersleep dream. A famous theorem suggests that a roomful of monkeys randomly hitting keys on typewriters would, given enough time, eventually produce an improved version of Hamlet wherein Claudius still gets his, but Hamlet and Ophelia survive to live happily ever after. There’s plenty of precedent for continuity-obviating course-corrections in long-lived franchises. The accrued weight of a character’s prior adventures can become an impossible-to-lug burden for creators who want to do something new. As the number of characters whose fictional histories must be reconciled increases, the bonds grow tighter still. You can start to understand why DC Comics has, with much fanfare, rebooted its entire 75-year-old fictional universe twice. In Superman comics of the 1950s and 60s, DC had a delightful phrase for far-out tales it wanted to loudly signal were happening outside of established continuity: Imaginary Stories. As in, these particular tales of a benevolent, handsome, flying alien in red boots aren’t real. Buyer beware! Marvel Comics, in turn, published several series under the title What If…?, devoted to one-off stories that deviated from the Marvel heroes’ accepted histories. Mid-story do-overs that ignore some events but preserve others are less noticeable, but pervasive. Sherlock Holmes and sidekick/biographer John Watson changed their histories in small ways all the time, even within the stories penned by his creator, Arthur Conan Doyle. Bryan Singer has rewound the tape twice. 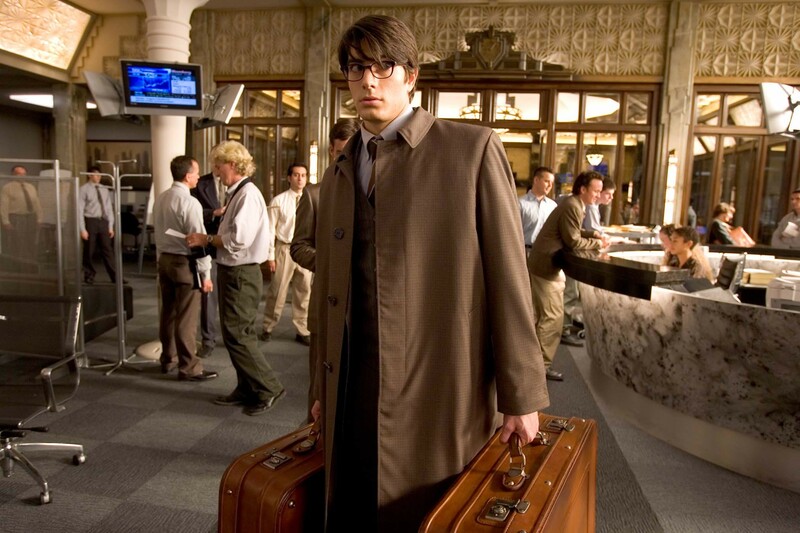 His weirdly mournful 2006 movie Superman Returns was a sequel to the first two Superman pictures made concurrently by Richard Donner almost 30 years earlier. (Donner was fired and Superman II was finished by Richard Lester. The inevitable “Donner Cut” surfaced 26 years later.) Singer’s sequel ignored the unloved Superman III, wherein Warner Bros. decided that what was then the movies’ only superhero franchise really ought to be a Richard Pryor vehicle. It also disregarded Superman IV: The Quest For Peace, the Alien Resurrection of Superman movies. More recently, Singer’s X-Men: Days Of Future Past used time-travel to revive major characters killed in X-Men: The Last Stand—the movie Singer passed on when the chance to do a Superman flick came up. Directed by perennial punching bag Brett Ratner, The Last Stand is one of those odd ducks unique to precious geek properties: the mega-hit nobody likes. Though it outgrossed every other X-Men picture, it’s the one Singer knew he could walk on without enraging his core constituents. Given the various X-Men comics’ half-century legacy as one of the most tangled and forbidding fictional universes in geekdom, it’s remarkable that Fox waited 14 years to do some maintenance work on its big-screen incarnation. Keeping things straight among multi-platform properties is dicey, but corporate parents still try. After Alien 3 killed off Hicks and Newt, Dark Horse Comics reprinted the comic books chronicling the characters’ post-Aliens adventures, only with their names changed. Problem solved! Last spring, Lucasfilm president Kathleen Kennedy announced sweeping Vatican II-style reforms to the Star Wars mythos, declaring that its “Expanded Universe” stories—novels, comic-book series, videogames, role-playing games, and so on—would no longer be considered canonical. This, presumably, was an essential bit of housekeeping in advance of the blitzkrieg of new Star Wars product surrounding J.J. Abrams’ new movie, set a generation after 1983’s Return Of The Jedi. Terminator: Genisys won’t be out until July 2015, but its trailers have already given away that the film will revise the events of 1984’s The Terminator. Who could object, given that the series’ very premise is that time-travel into the past can be used to alter the present? (Me, if the movie is awful.) The 2008-2009 TV series Terminator: The Sarah Connor Chronicles was set after 1991’s Terminator 2: Judgment Day; it disavowed the events of 2003’s Terminator 3: Rise Of The Machines and 2009’s Terminator: Salvation. As in the Alien and Superman franchises, the latter two Terminator entries, made without the involvement of creator James Cameron, were less sanctified, and therefore more vulnerable to revision than the first pair. And for the fans-don’t-care-so-why-should-we approach to imaginary world-policing, there is always movies’ most resilient franchise: Bond. James Bond. No movie hero or anti-hero is as gifted with longevity or freighted with narrative contradiction as Agent 007. Six primary actors have played the character since 1962, not counting the 1967 spoof Casino Royale and the many multimedia offshoots of the main film series. The Cold War milieu in which former British Naval Intelligence Division man Ian Fleming created him is long gone. And yet all of Bond’s Eon-produced screen adventures prior to the 2006 reboot Casino Royale are understood to have occurred along the same irreconcilable timeline. The first time the role changed hands, in 1969’s On Her Majesty’s Secret Service, one-off star George Lazenby peered directly into the camera and quipped, “This never happened to the other fella!” But then the film goes out of its way to show that he’s the same fella: Bond goes through his desk, pulling out gadgets recognizable from prior 007 outings, each one accompanied by a blip of that movie’s theme on the score. At the end of the movie, Bond gets married, only to have his bride immediately killed in a drive-by assassination attempt. Twelve years later, in For Your Eyes Only, Bond (now played by a creaky Roger Moore) visits his wife’s grave. Her headstone lists On Her Majesty’s Secret Service’s year of release as the year of her death: 1969. Pierce Brosnan, youngest of the pre-reboot Bonds, would’ve been 16. Even Casino Royale doesn’t entirely wipe the slate clean: Judi Dench was held over from the Brosnan era as M, Bond’s boss. By 2012’s Skyfall, director Sam Mendes and writers Neal Purvis, Robert Wade, and John Logan are already brooding about Bond’s aging and obsolescence, never mind that 44-year-old star Daniel Craig, in his third outing, was the youngest 007 the series had had in 40 years. They effectively kill Bond during the movie’s traditional cold-open action scene, wherein he is shot twice, with the second bullet knocking him off a moving train and into a river seemingly hundreds of feet below. 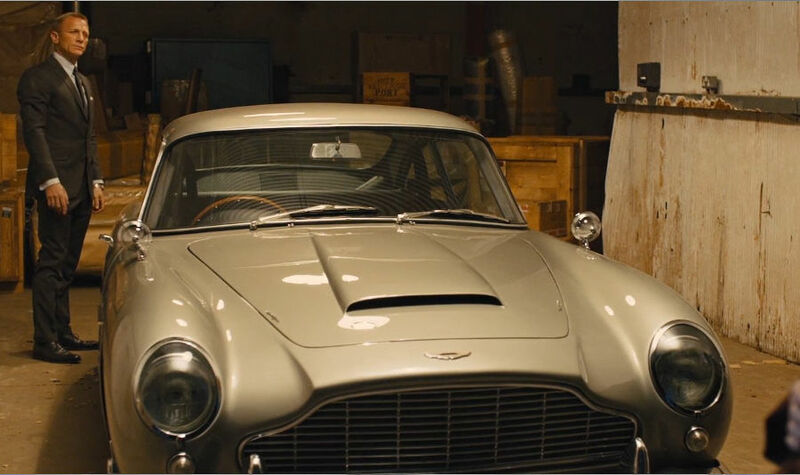 The cleverest of the many clever things Skyfall does is elide any explanation of how Bond survives. If this movie had a subtitle, it would be The Really Quite Amply Demonstrated Virtue Of Ignorance. And yet for all its evasion, Skyfall digs in its heels on at least one point. Bond has changed faces so often, and remained between 35 and 55 for so long, that many have reasonably inferred “James Bond” is a fictitious identity inhabited by a succession of licensed-to-kill spies, like the CIA straw-man for whom Cary Grant is inconveniently mistaken in North By Northwest. But Skyfall makes clear what readers of Fleming’s Bond novels already knew: He’s one guy, and James Bond is the name his parents gave him. He looks good for a bloke born no later than 1930. Which brings us back to Blomkamp’s fanboy Alien movie. It’s hard for something that doesn’t exist yet to pander, but to the degree that it can, it’s pandering directly to me. I love Alien and Aliens, and I love Blomkamp’s District 9. I want to love his Alien joint. I just hope that, like District 9, it’ll have more on its mind than just fan service. Because whatever the hell the Alien 3 we’ve already got is, it is decidedly not that. Plenty of films have suffered from artistic overreach, and at least as many have been neutered by crass studio interference. Alien 3 is the rare specimen afflicted by both. It isn’t a very good monster movie, but if, after a long week at the office, you’re up for a brilliantly acted existential meditation on the inevitability of death, you could do worse! Giler and co-producer Walter Hill contacted William Gibson, the influential cyberpunk novelist who wrote Neuromancer, and whom they’d hoped would have some wild ideas about how to up the franchise’s ante a second time. Gibson’s two drafts extended the Cold War into the 22nd century, with communist and capitalist powers each trying corral the xenomorphs for their potential as weapons. This resulted in an airborne mutation of the alien reproductive cycle—mammals no longer needed to be orally raped by squids to become pregnant with aliens. Hicks, Michael Biehn’s character, was still in the fight; Ripley was in a coma, possibly to return in a fourth movie. As was her custom/negotiating tactic before each Alien film, Weaver was being noncommittal. The next draft, by Near Dark screenwriter Eric Red, was harsher and weirder. No characters from the prior films were retained. As in Gibson’s drafts, the xenomorph became a virus, one that could infect machinery as well as organic creatures. Everyone hated it. Harlin walked. Then Pitch Black writer-director David Twohy wrote another Ripley-free script, this one set aboard a space prison. There, the reckless Weyland-Yutani Corporation—the series’ true antagonist—is using inmates to conduct illegal, and presumably disgusting, alien-related research. Fox chairman Joe Roth thought it was pretty good. But he’d decided by then that he wanted Weaver back, whatever it cost. Incredibly, this dour, defeatist, Name Of The Rose-styled Alien 3 is the one Fox finally greenlit. The sets were already built at the 007 stage at London’s Pinewood Studios when corporate feet started cooling. Did Ripley have to die? Not necessarily, said Ward, who bit his tongue and wrote a new ending. But Weaver wouldn’t be moved on this point: Ripley had to die. Okay, but do they have to be monks? What’s up with the wooden planet, anyway? Ward could read the writing on the torch-lit wall. With millions already spent, he was fired. After burning through another pair of writers, David Giler and Walter Hill started grinding on a quickie script that combined elements of Ward’s story with Twohy’s prison-planet scenario, which could incorporate the sets already built for the script they were no longer using. (Ward’s contributions won him a “story by” credit on Alien 3.) It was never entirely finished, but feature greenhorn David Fincher started shooting anyway. The teaser trailer, which falsely implied the xenomorphs would invade Earth in this installment, had already dropped. “We didn’t set out to make a movie, we set out to make a release date,” Fox exec Jon Landau says in Wreckage and Rage. The release date they made was resoundingly weird and sour. Other than costume designer Bob Ringwood (who calls Fincher “unpleasant to work with”), no one utters an unkind word about Fincher during the nearly three-hour documentary. In fact, almost everyone goes out of their way to say that Alien 3’s failure was not his fault. By 2003, when the doc was made, Fincher had firmly established himself as a major filmmaker, so it’s possible people were reluctant to speak candidly about his conduct a decade before. The only specific element of the finished film that’s clearly attributed to him is Weaver’s baldness. This resulted in the creation of a special, expensive, bristly bald-cap prop for Weaver when reshoots were required, more than a year after the picture had begun filming. A provision in her contract stated that Fox would’ve owed Weaver a hefty bonus if they asked her to shave her head a second time. In the paintings Blomkamp put on Instagram, Ripley’s curly brunette locks are fully intact. Weaver sheared them off once; eventually, they grew back. Why should a decision made in an aging, already deeply subtextual science-fiction series a generation ago be any less reversible, over time, than that haircut? Viewers choose, consciously or not, to suspend disbelief or not on a case-by-case basis. We evaluate each text for its ecstatic truth, in Werner Herzog’s wonderful phrase. In this case, its congruence with past truths is a separate issue—those past truths are a dodgy sequence of loosely connected stories told by vastly different filmmakers over four decades. Alien 3 was the first entry in the series I was old enough to see in a theater. None of the crazy-sounding stuff I’d read about it in Starlog magazine in the two or three years prior to its release could convince me to expect anything other than another two-plus hours of fully automatic, white-knuckle science-fiction adventure—like Aliens, only even more awesome, if such a thing could be imagined. (Of course it could: Just the prior summer, Terminator 2: Judgment Day had delivered the goods and then some.) Then Alien 3 came out—and I hated it. But as with a grumpy veteran cop paired with a wisecracking young partner, my hatred has turned to grudging respect over the years. In its weird, compromised way, Alien 3 is as confrontational and punk as Ripley’s scorched-Earth haircut. No matter what Neill Blomkamp does, this Alien 3 will always exist, like the Ralph Richardson-John Gielgud radio version of Sherlock Holmes, and the Adam West TV version of Batman. Like Superman III. Like X-Men: The Last Stand, that dumb, stupid, Brett Ratner-y piece of stupid dumb crap. 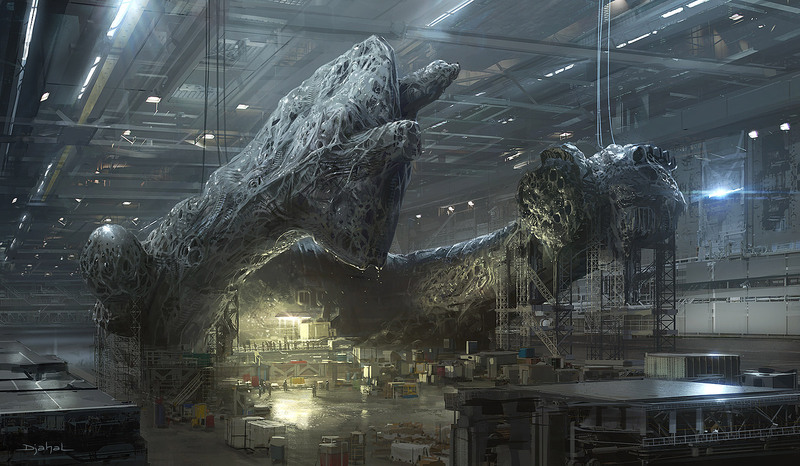 Meanwhile, Blomkamp looks poised to make the Aliens follow-up my preadolescent self so desperately wanted. To do that, he’ll need to approach the future-past in a very deliberate and specific way: He should take off and nuke the site from orbit.